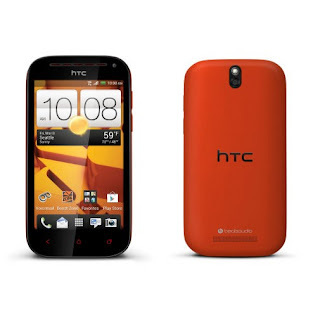 The Boost Mobile HTC One SV LTE is sale for $239.99 on the Boost Mobile site. That's the best price I've seen to date on Boost's current top of the line 4G LTE phone, which normally goes for $299.99. To get the sale price enter promo code SUMMERJAMXX on the shopping card page. The phone also comes with a $20 Android Play Store credit good for games, apps, music, movies or ebooks. According to Boost the One SV promotion is supposed to run through June 4th. I wouldn't wait until the last minute though. Boost has a habit of ending its sales early without warming. The HTC One SV is a high performance, mid-sized phone with a 4.3 inch 480 x 800 px Gorilla Glass screen, Beats Audio, 5 MP main camera with 1080p video recording, 1.6 MP front facing camera, 1.2 Ghz dual core processor, 1 GB of RAM, SD Card support and a removable battery. That is a good price for LTE phone. However, the 4.3" display is a bit small since HTC likes to use narrow screens. I have this phone and I love it!!! In my area I get 18Mbps on Boost 4gLTE.